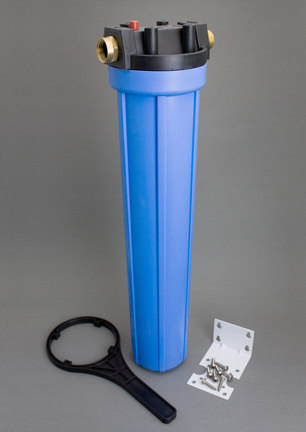 Large gardenhose filters for high flow rate and greater filtration capacity. 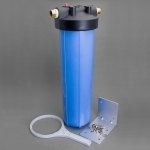 These filters use the same fittings and work on the same principle as our standard-sized garden hose filters, but they allow for considerably higher flow rates. 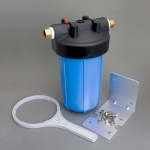 Prices below are for the filter housing and fittings only. Cartridges must be ordered separately. 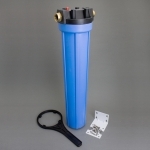 Prices below also include mounting bracket, screws, and a filter wrench. 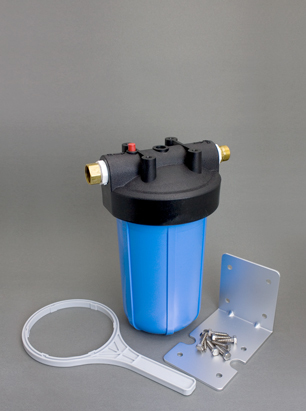 A filter cartridge is not included. It must be ordered separately. The most commonly ordered cartridges are listed below. 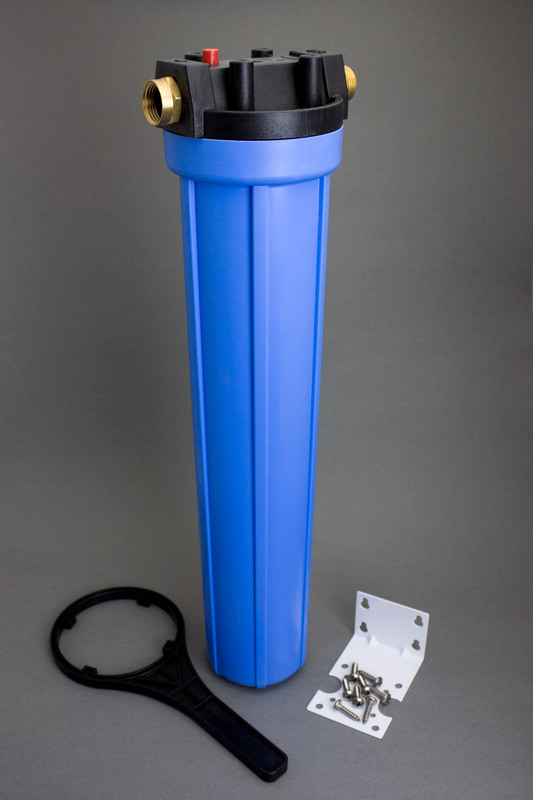 Additional cartridges avaiable on our 2.5" x 20" cartridge page. The most commonly ordered cartridges are listed below. Additional cartridges avaiable on our 4.5" x 10" cartridge page. The most commonly ordered cartridges are listed below. 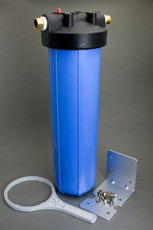 Additional cartridges avaiable on our 4.5" x 20" cartridge page. 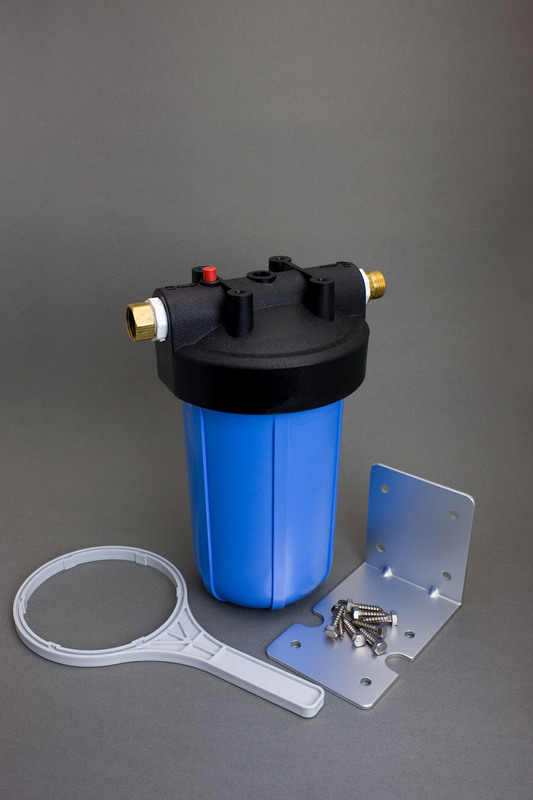 Garden hose filters and cartridges for iron removal. 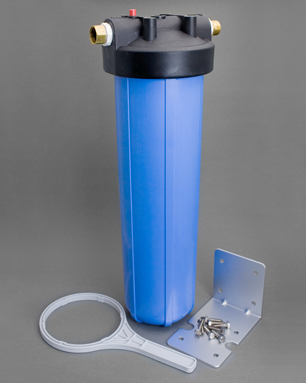 This high-capacity water softener is ideal for RVs, car washing, window washing or anywhere that hard water causes scale buildup or spotting. Iron removal with a garden hose filter.